I am pleased to have purchased this towel. Good value for money. 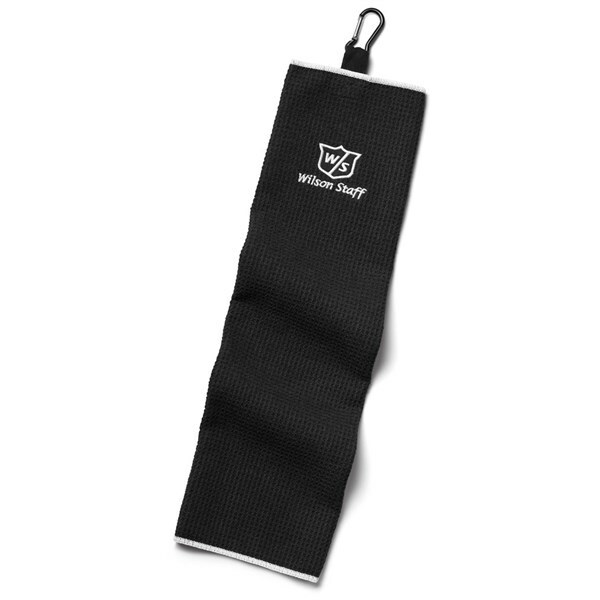 Its size is right so as not to rub the ground when dragging the trolley. its strong point in my opinion is that it dries very quickly. Perfect for the price !!! I can say this one is doing the job as intended. 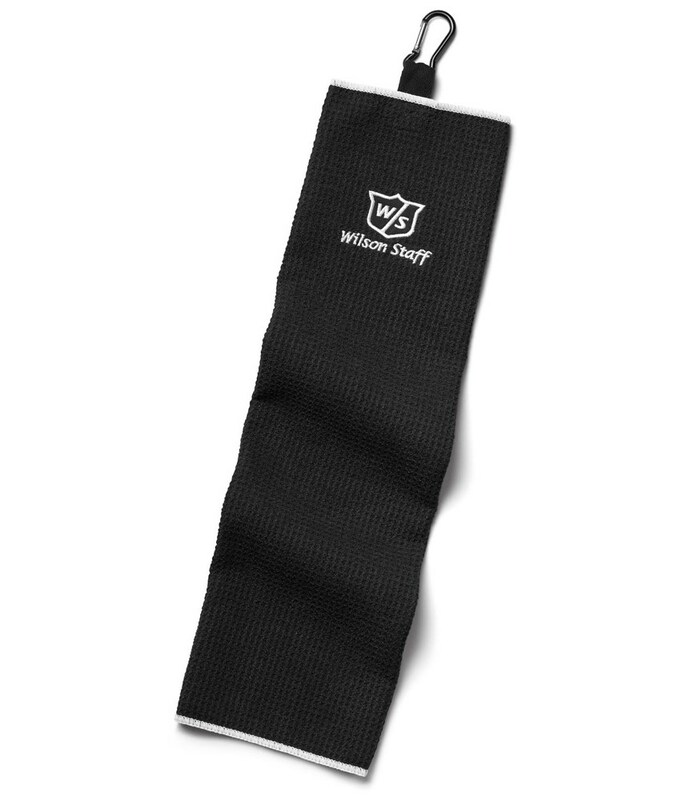 The Tri-Fold towel is always hanging nicely on the side of my bag and not flopping all over. Much nicer than other brand normal towels available. Great value for money at this price, also two color choice to choose from. 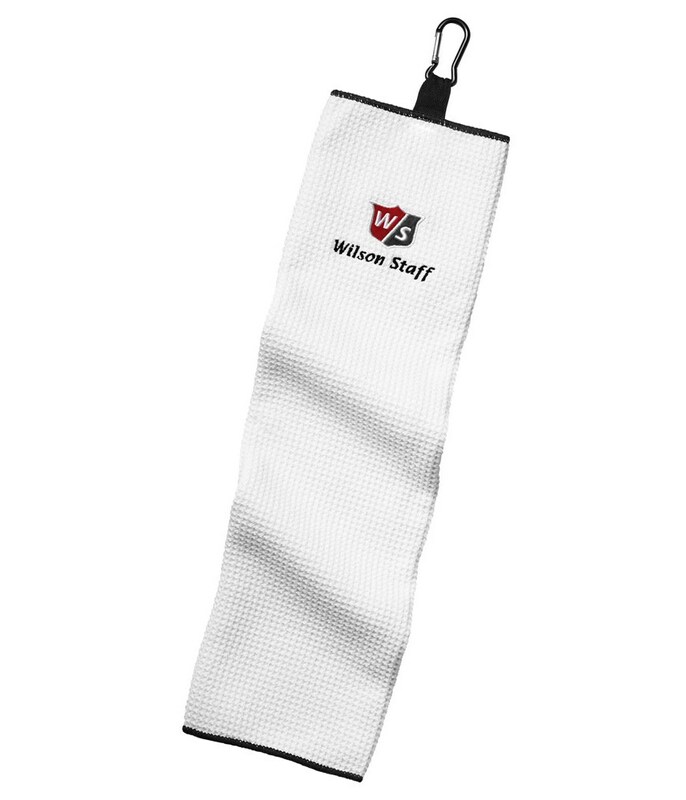 The Wilson Staff Tri-Fold Golf Towel, made from a heavy duty microfiber material.